Posted: Friday 20th June 2014 in Events and Awards, News. 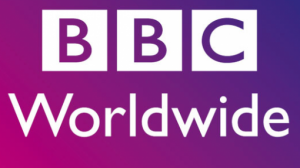 Summit is proud to be hosting BBC Worldwide’s Senior Vice President of eCommerce, Steve Wind-Mozley, and other industry peers at an internet leaders’ dinner taking place in London on Wednesday 2nd July. to consumer proposition at the BBC. He will be discussing the BBC’s eCommerce strategy and his experience of the replatforming process, incorporating a multidevice design and tactics for driving traffic to the site. The evening, which takes place at the stunning Elysee restaurant in Soho, kicks off with Steve’s presentation followed by a 3 course dinner and drinks. It’s a relaxed and informal night with the emphasis on creating a environment for retailers to network and discuss current challenges and ways of tackling these. We look forward to sharing valuable insight with Steve and the other attendees at the event. More information and tickets are available online.